The liberal media is always looking to jump on any story that pushes its agenda. They twist facts, take things out of context, and put their spin on anything that shines a spotlight on their pet causes. Such was the case this week when media outlets jumped on the chance to prove a decades-old “theory” – but now they are doing damage control. Sesame Street is the longest-running children’s television program in history and has been a beacon of light in the darkness of kids’ entertainment that is increasingly hijacked by liberal propaganda. The LGBT community has been pushing for decades to get confirmation that beloved characters Bert and Ernie are in a homosexual relationship, rather than being just roommates. Earlier this week, a longtime Sesame Street writer shared some startling news for families on the homosexual blog, Queerty, when he supposedly confirmed that Bert and Ernie were intended to represent a homosexual couple all along. So with those words, liberal media outlets released the story celebrating the “truth” about Bert and Ernie’s relationship in their typical “we told you so” manner. The producers of the show – a gold standard in family programming for generations – were quick to refute the claims. Left-leaning media outlets stood by their claims based on the Saltzman interview, but even Saltzman himself is now saying his comments were misinterpreted. He also made it clear that he “would never have said” to the head writer that Bert and Ernie were based on his relationship with his partner. 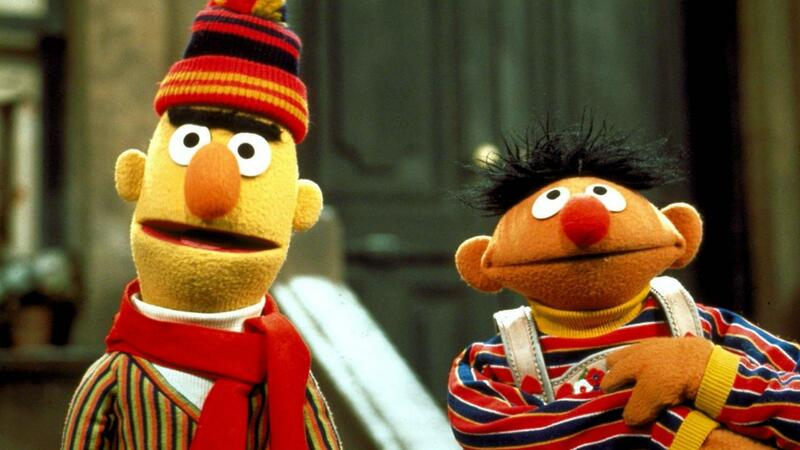 Bert and Ernie’s creator, puppeteer Frank Oz, joined the Twitter firestorm by saying that whether Saltzman was writing the characters as homosexual in his own mind does not matter. Oz stated, “They’re not, of course,” and that he would not label the characters as gay because it would not be an honest statement. As much as the LGBT community would like to hear otherwise, it seems this theory has been shut down for good. Of course, the left is always looking to indoctrinate our children, and programs produced by Disney, Nickelodeon, and Cartoon Network have all featured blatant homosexual propaganda. It seems though, that Sesame Workshop is standing firm against this trend – at least for now. Saltzman did comment in the Queerty interview that he thinks Sesame Street should have “led the charge” by introducing homosexual characters since the show has always represented diversity. And Frank Oz, as well, thinks that the program should feature a homosexual character, although human, not a puppet. For now, though, we applaud Sesame Workshop for standing up to the bullying tactics of the left and denying any hidden intent behind these characters who have been loved by generations. We can only hope they defy the odds and continue to keep the progressive agenda out of their program so families can continue to welcome all of the Sesame Street characters into our homes each day. What do you think of the mad rush by the media to label Bert and Ernie as homosexual? Show your support for Sesame Workshop’s denial of this in the comments.